In this latest interview with Daily Mail UK, the former wife of Oprah Winfrey’s father, Barbara Winfrey has revealed some unpleasant secrets about the media mogul and it is so messy. According to Barbara, the Oprah Winfrey we see on TV is a different personality from her real self. She described Oprah as a very controlling, arrogant and manupulative woman. relationship with her hubby and kicked her out of the home she bought for them 14 years ago leaving her homeless. Stedman Graham is a contract, calling it a pragmatic cocktail of shared secrets, convenience and money. 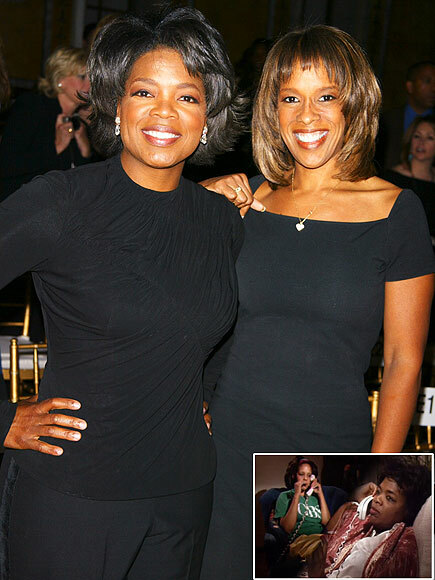 Barbara further said the relationship between 60 year old Oprah and her best friend, Gayle King is very unhealthy because the two are unmarried (she promised to expose them tomorrow). ‘You find out quickly where your place is with Oprah and you get in that place and you stay in that place. My crime, I think, was to talk to her like a normal person and she didn’t like that one bit. My husband once told me that just because someone gives you something does not mean they love you. He was talking about Oprah. Her brand is that she’s a nice, caring, generous, giving person. That’s not how it is. She’s controlling – it’s all about control. She has confidentiality agreements with pretty much everybody in her life. She has them sign their life away and she has them in her pocket. By her own admission Barbara struggled to cope with Vernon’s infidelity. She moved out of the marital bedroom but she was not, she insisted, looking to end her marriage. vacate her home by March 31. Oprah purchased the house in the name of her company, Overground Railroad LLC, the plaintiff in the case. ‘Oprah is a woman who empowers women to be all they can be, to stand up against men who mistreat them. If she was a more decent person she would realize that what her dad did was very wrong instead of plotting against me and pushing me out of the scene. Barbara has till the 29th of May to pack her belongings from the house. I have lost everything. It’s not just a house, this is my home. All my memories are here. I’m trying to keep it together but there are some days I just don’t understand how I could have made her so angry that she would kick me out on the street and think nothing about it. But that’s Oprah – she’s judge and jury. million dollar home? But can you see it’s not about that? It’s about everything that went before. Look at how she has treated me. I laid my head next to her father for 14 years and she never thought me worthy of talking to. Meanwhile, Barbaba promises to grant part 2 of the explosive interview to Daily Mail tomorrow. Chei! this woman sounds very bitter. Do you think Oprah Winfrey should have released the mansion to Barbara?